Flash Tune Shift Rod - BUILD Kits. The FTEcu Shift Rods are designed for certain Quick Shifters and work only for specific bike models and setups. As a result, not all bike models require the purchase of a Shift Rod Kit. To determine whether or not your motorcycle requires a shift rod kit, please refer to the information below (NOTE: You can also use these shift rod build kits for universal applications). The chart below outlines what type of Dynojet Quick Shifter your bike uses and what shift rods will be needed with the stock rearsets and the standard shift patter. For racing shift patterns (reverse shifting), you will need to determine if you are pushing or pulling the shift rod end points so you will select the correct setup. 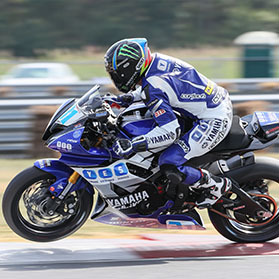 If you have any questions do not hesitate to contact the Sport Bike experts at Graves Motorsports. Models Using the PC5 require the use of the QEM add-on unit.